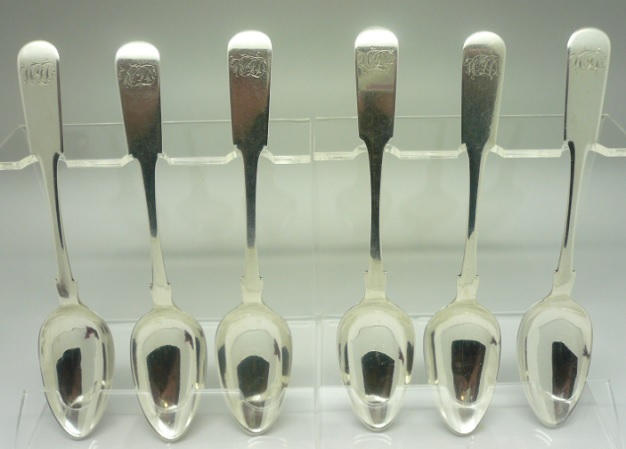 Any thoughts on the maker of these fiddle pattern teaspoons? They are likely to be Scottish provincial. Not sure if there is a way to get these images working again. But I did remember seeing this post. Just a note to say Langdon has a P.F in his book (page 74), which actually looks more like a PE to me. He says it's probably Montreal maker (although I have noted a few of his unascribed have ended up not being Canadian!). 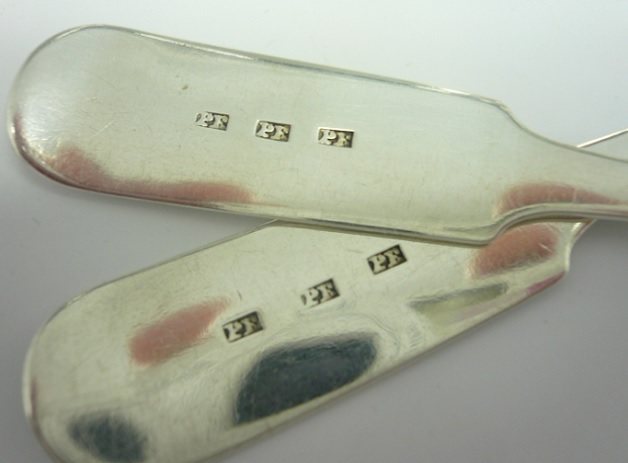 Another teaspoon is online that is described as PE and it seems to match Langdon's mark. Thanks for the information, it's appreciated. 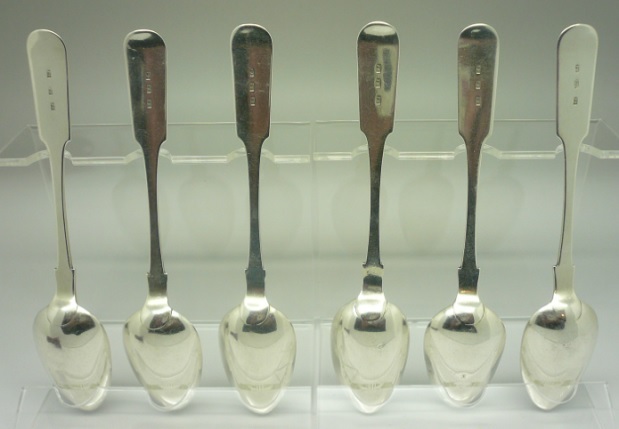 The spoons were not mine, and the only clue was that they were acquired in Scotland. As you can see, I've replaced the missing images.